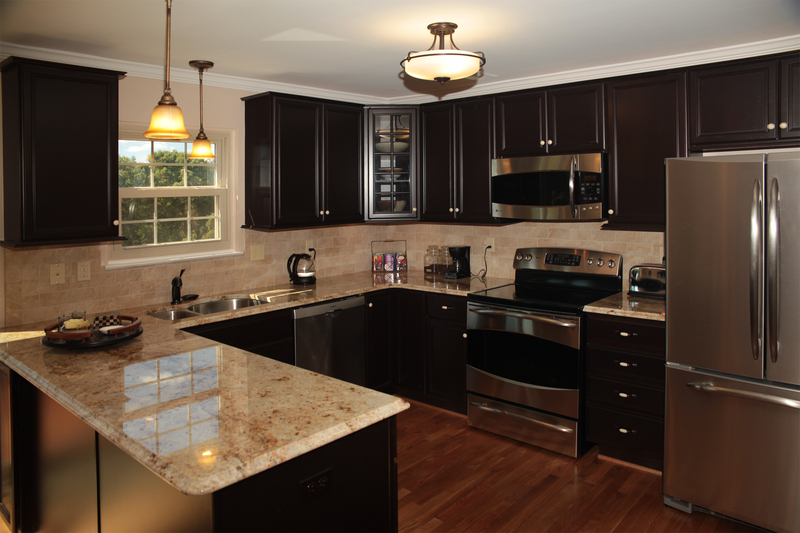 CAN CUSTOM KITCHEN CARPENTRY ENHANCE THE FUNCTIONALITY OF YOUR KITCHEN? If you have ever wanted to have more cabinet space or add an island to your kitchen space, we can help you with that and much more. Peak Carpentry ready to offer the best custom carpentry services possible. If you’re looking for a simple way to add value to your home, allow us to offer you a variety of custom options that will improve the look and functionality of your kitchen. When you want to enhance you space, consider upgrading your kitchen cabinets. We can create a kitchen design that will offer enough cabinet space for all of your dishes. Our custom cabinets can be made out of different types of wood like oak, cherry, hickory, birch, maple, ash or pine. There are other materials available too such as laminate. Custom cabinets are built according to your unique desires. They will be installed properly so that you can enjoy having the kitchen you’ve always imagined. You can enjoy having all of the storage space you need when you have custom cabinets crafted to meet your specific needs. There are many ways to custom design your kitchen. You can add a unique island to your room that will function well and look amazing. Your island can be made into many different styles and colors. It will be sized to fit your kitchen and to give you the space you’re looking for. Our custom carpentry is created by professionals who look forward to creating a personalized area for your cooking needs. We know that the kitchen is the heart of the home, so we always work hard to give you a room where you will enjoy spending time. Your kitchen design will be based on the amount of space you have and all of the special features that interest you. There are many custom carpentry options that we’re happy to provide. We can make sure that your baseboards, crown molding, and window and door casings are all installed properly. We know that paying attention to all of the details can help your kitchen to look its finest. Peak Carpentry’s team of professionals will always offer you premium services so that your kitchen will appear and function the way that you want it to. You deserve the best, and Peak Carpentry will turn your dreams into a reality. Call us today.